Using many different cloud apps to maximize productivity is a great first step to the ultimate office workflow, however without the ability to seamlessly communicate information from one app to another, you’ll find yourself wasting valuable time logging into different apps and re-entering the same data. Manual data entry can be frustrating and error prone, and though it may seem like a fact of life, it doesn’t have to be! Workato connects your apps (Like Salesforce and MailChimp) with Workato recipes. Workato recipes are formulas that tell each app what information to give and receive. For example, you can use a recipe to automatically create invoices. When an Opportunity in Salesforce is set as Closed Won, Workato will automatically create an invoice for it in Quickbooks Online (QBO) and then update the Salesforce opportunity with the QBO invoice number. All the previous work of logging into Salesforce, then moving that information in Quickbooks and updating the information back in Salesforce is reduced to a single action – setting an Opporunity in Salesforce as Closed Won. 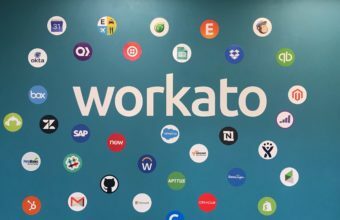 Join us for a webinar to help you explore Workato and how it can help your business every 1st and 3rd Thursday of the month. We’ll cover all you need to know about the platform as well as how you can leverage on Workato to power your own integrations. If you already use Workato (woo hoo!) but have questions or are facing issues with your recipes, we’ve got a great webinar for you as well! 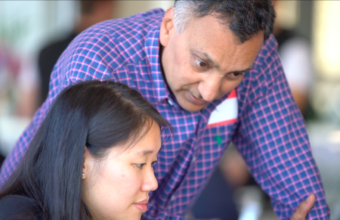 Join our experts every 2nd and 4th Thursday of the month as they share troubleshooting techniques as well as common recipe errors and pitfalls.